In a first, the Ministry of Environment and Forests recently notified the Construction and Demolition (C&D) Waste Management Rules. 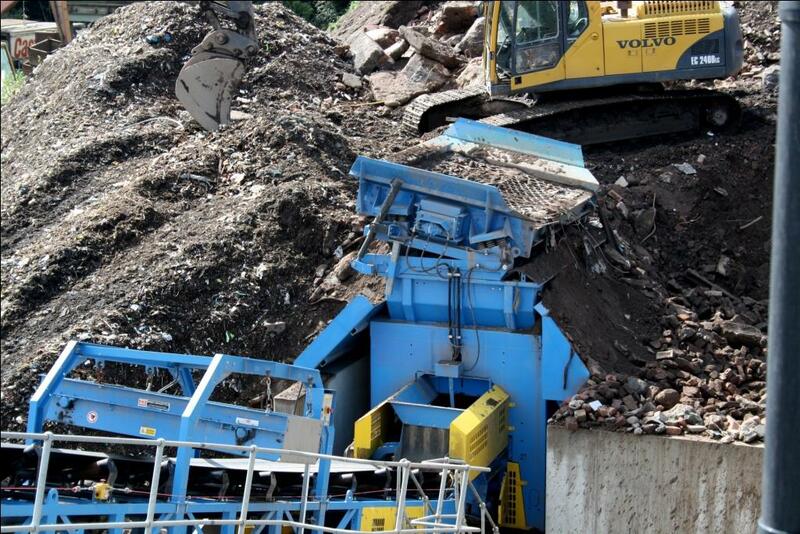 “Construction and Demolition Waste is not a waste but a resource. The basis of these rules is to recover, recycle and reuse the waste generated through construction and demolition,” Union Minister of State (Independent Charge) of Environment, Forests and Climate Change, Prakash Javadekar said. Till now, rules for the management of construction and demolition waste were part of Schedule III of the rules for Municipal Solid Waste (Management and Handling), 2000. The ministry separately prepared draft rules for the management of C&D waste three months ago. The final notification of these draft rules takes into account nearly 111 suggestions from various environmentalists and environmental organizations. According to the rules, all generators of C&D waste must segregate it into four categories– concrete, soil, steel and wood, plastics, bricks and mortar – and then either deposit it at collection centres setup by the local authority or hand it over to processing facilities. “But, out of all cities in the country, only Delhi has waste processing facilities – one in Burari and the other at Shahdara,” Avikal Somvanshi, Programme Officer of the Sustainable Buildings Programme at the Centre for Science and Environment (CSE), said. Large generators (generating more than 20 tonnes of C&D waste a day or 300 tonnes of C&D waste per project in a month) must prepare an environment management plan detailing the environmental issues that can stem from the storage, transportation, disposal and reuse of C&D waste. They must also prepare a waste management plan, submit it to a local authority and get their approval before starting any construction/demolition/renovation work. They are also required to pay a relevant charge to service providers and contractors for collection and transport of C&D waste and to a waste processing facility for processing and disposal of this waste. Local authorities, in their turn, are required to use 10-20 per cent materials made from C&D waste in municipal and government contracts and give incentives to waste generators who process and recycle their waste in-situ. CSE believes this is an important intervention that would need detailing with tax and pricing measures in cities. “There are two ways of encouraging in-situ recycling. One is a ‘waste tax’ approach, in which you tax waste generators for availing waste processing facilities. The other is by incentivising in-situ recycling,” Somvanshi said. Further, the new rules mandate that all service providers and contractors are required to remove, and prepare a waste management plan for, the waste generated in their jurisdiction within six months. Waste processing facilities, in their turn, are required to get an authorisation from the State Pollution Control Board (SPCB) and notify a buffer zone of no development in the area surrounding their location if they have a capacity of processing more than five tonnes of C&D waste per day. Regardless of their capacity, it is advised that they are located away from habitation clusters, forest areas, water bodies, monuments, national parks and wetlands. For effective monitoring of stakeholders, the new rules also designate specific roles for the state government, the Central Pollution Control Board (CPCB), the Bureau of Indian Standards (BIS), the Indian Roads Congress (IRC) and central ministries. The concerned department of the state government is required to provide land for storage, processing and recycling of C&D waste within one and a half years. The CPCB must prepare operational guidelines on environmental management of C&D waste. The new rules also direct the IRC to prepare standards and practices on use of recycled C&D waste products in road construction. Central ministries such as the Ministry of Urban Development (MoUD), the Ministry of Rural Development (MoRD) and the Ministry of Panchayati Raj (MoPR) will facilitate local bodies while the Ministry of Environment and Forests (MoEF) will review implementation of these rules. The BIS should prepare a code of practice and standards for use of recycled C&D waste. Earlier, BIS did not recognise recycled C&D waste as suitable construction material. In January 2016, they notified an amendment in IS:383 saying that recycled concrete can be used as a part substitute for concrete in constructions. CSE recommends that BIS should now extend the scope of reuse of C&D waste to include its use as a part substitute for mortar and in the construction of paver blocks, kerb stones etc. The rules also set targets for cities to commission processing and disposal of C&D waste. These are one and a half years for million plus cities, two years for cities with a population between 0.5 million and one million and three years for cities with a population less than 0.5 million. Delhi recently issued an advisory on reuse of C&D waste, according to which, government agencies are required to incorporate a clause in their tenders, mandating that 10 per cent of recycled products from C&D waste should be used in road works, five per cent in non-structural applications and minimum 2 per cent in building works. It also sanctioned three new recycling plants in the state budget 2016-17. Other cities must follow suit. India generates nearly 530 million tonnes of C&D waste annually. This number is only going to skyrocket in the future, considering that two-thirds of the buildings that India will have in 2030 are yet to be built. Although inert, C&D waste is bulky and it usually finds its way into water bodies, public spaces and green areas. Recycled C&D waste can also be a great substitute for material mined from nature, thus reducing our dependence on fresh resources. Therefore, proper management of C&D waste is important.